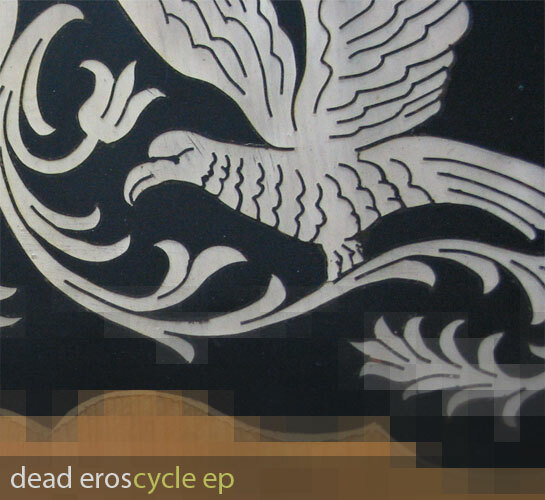 We first released Michigan-based foreboding idm superstar Dead Eros on Monotonik back in 2005, and are delighted to welcome him back with this 4-track release, ‘Cycle EP’, all slightly spooky, overlapping electronics in a distinctly regional, but distinctly original way. We start out with ‘Specific Ocean’, which is fuzzed-up angular metal funk, in a laid back way, before going on to the keyboard-flecked, downtempo ‘Ignite Alarm’, which is heavy on the shuffle, almost halfspeed drill and bass rhythms. It’s like if you got Squarepusher a bus pass and made him reminisce about the old days of cloth caps, innit? Following rapidly on, ‘Idyll’ is incredibly ambient, smile-inducing melodic haze, and closer ‘Respite’ drifts almost into Biosphere territory with some powerful drone overlaid with some strong, catchy loops, while the radio chatter jerks up and down, and eventually overwhelms the piece for a blissout, dubladen ending. This is, my friends, original electronic music, while is why we’ve released it on Monotonik. End.